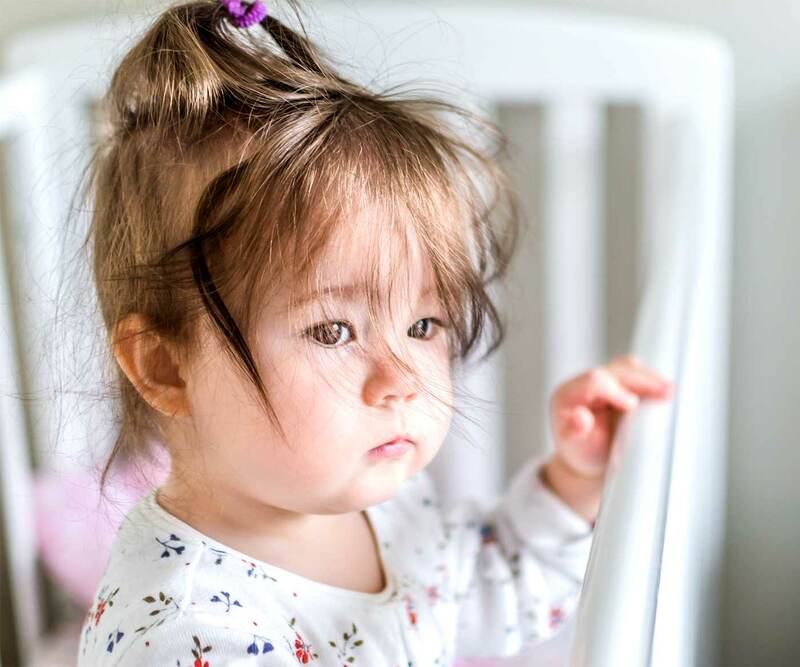 Is your one year old fighting sleep suddenly? 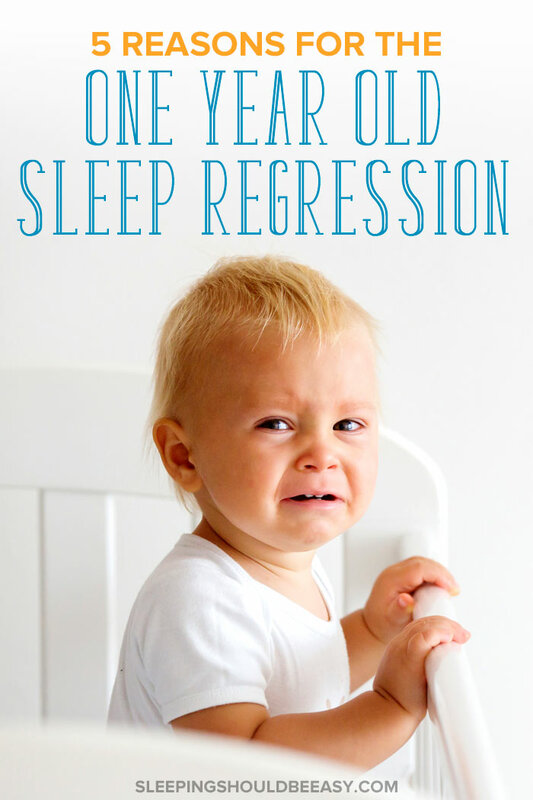 Learn why the 1 year old sleep regression happens, and how you can turn things around. One year old. An age that marks several milestones, from introducing cow’s milk to washing their clothes with “regular” detergent. We call them “toddlers” and celebrate their first birthday. We can even give them honey from now on! But for many parents, this new turn also comes with the dreaded 1 year old sleep regression, catching many of us by surprise. It’s when your toddler goes from being the perfect sleeper to waking up every night fighting sleep. When he won’t go back to sleep unless you give him milk or rock him in your arms. Perhaps it’s when you realize a whopping two hours have passed since you put him down… and he’s still awake. It’s like the newborn stage all over again, you cringe to yourself. If the past few nights for you have been rough, rest assured you’re not alone. Many parents see a sudden change in their baby-turned-toddler’s sleep at the 1 year mark. And for many of us, this happens after several months of them sleeping through the night. Thankfully, as they say, this too shall pass. Still, sometimes you wonder why this is even happening, and more important, what you can do about it. So if you feel like this hasn’t passed quickly enough, you’re not stuck. 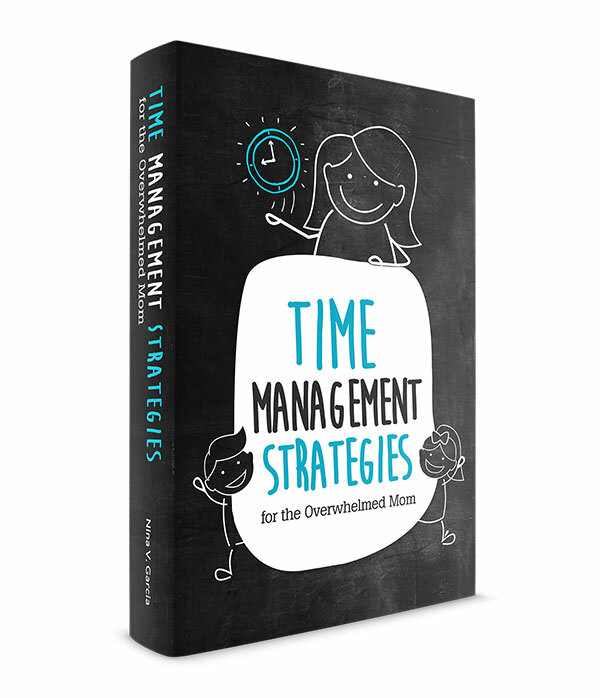 In fact, when I saw that my son’s sleep patterns took a sudden change at the 1 year mark, I read and researched what I could do to turn things around. The 1 year mark of your child’s life is a huge learning curve. She might be learning to walk, or processing new words and sounds. She’s discovering that she can pull herself up on the crib (but cries because she doesn’t know how to get down). Other times, the developmental milestones she hits may not seem so exciting. For instance, she might be developing separation anxiety, especially at night when it’s dark and you’re not around. Or, like my son, she’s finally growing her first tooth, making for fitful sleep. All this to say that reaching 1 year old comes with its own set of problems that disrupt her sleep. What to do: Dig deep and see which developmental milestones she’s hitting, and address it during the day. If you find her “practicing” how to walk, give her plenty of time to do so during the day. Soothe and, if needed, medicate her tender gums. Install a night light and play peek-a-boo games to teach object permanence. Does your toddler demand a bottle of milk… only to fall asleep a few minutes in? Does she shriek in the middle of the night because she can’t find her pacifier? And have you had to go back to rocking her in your arms as the only way for her to fall asleep? She might be getting used to certain sleep habits that are unsustainable, AKA she needs you to do it for her, or they’re unnecessary. For instance, she’s drinking milk not from hunger (otherwise she’d finish the bottle) but because she has a habit of drinking milk to fall asleep. Or you may have had to rock her to sleep when she was sick, but now she’s grown used to being rocked even when she’s not. What to do: Think of the habits and crutches she’s grown used to as a way to fall asleep. If it’s something that doesn’t need you (for instance, sleeping with a night light), then leave it as it is. But if it’s grown increasingly reliant on you, replace it with better, self-soothing habits. Want to learn more? Join my newsletter and discover the 5 mistakes that are keeping your toddler from self-soothing! Any change in your child’s life—from her environment to her daily routine—can affect how well she sleeps at night. She might be trying new food (cow’s milk to replace formula, for instance) that she can’t digest as easily. You may have moved to a new home, or introduced a new caregiver. She might be starting the transition from two naps to one. Or perhaps she’s learned that you’re expecting another baby in several months. Any changes can affect how well she sleeps at night. You and I have had those sleepless nights because of changes in our lives—you can imagine the toll it can take on young kids. What to do: Ask yourself what new changes have happened, from a new diet to a new caregiver. If it’s physical like with introducing new food, see if you can isolate the culprit, or introduce new food one at a time moving forward. See if your schedule has changed and possibly thrown off her sleep. If it’s psychological, talk to your 1 year old about these changes. It’s tempting to dismiss their emotions because they can’t respond with words yet, but they can understand a lot more than we give them credit for. If you’re like many parents, your 1 year old wakes up in the middle of the night, screaming for milk. Nothing else seems to console him, but you also hate that he now expects to drink milk, especially to fall back asleep. Sometimes, kids demand milk not so much because they’re hungry but because the sucking motion has become a comforting habit. But other times, they really are hungry, especially when they haven’t eaten much during the day. They might prefer practicing how to walk than drinking milk. They’re more curious about their surroundings, and enjoy playing with toys than sitting in a high chair. The result? They wake up in the middle of the night, easily finishing a bottle of milk. What to do: Count how many ounces or minutes your 1 year old takes in during the day, including the middle of the night feeding. Make sure that he’s getting those ounces during the day. Break mealtimes up if needed, such as offering smaller amounts of milk more often, or offering snacks between meals. Get more tips on what to do when your baby refuses bottle feedings. For some parents, middle of the night wake-ups aren’t the problem so much as getting their toddlers asleep in the first place. Maybe your toddler has been taking a long time to fall asleep, sometimes hours, yet still wakes up at the same time in the morning. Or perhaps she’ll eventually fall asleep, but only after a huge bedtime tantrum. If you find that she’s having a hard time falling asleep, it might be because she simply isn’t tired enough. She might be sleeping too long for her naps to make up for the lack of sleep the night before. Except those long naps only make her less tired to sleep come bedtime, and the cycle continues. What to do: Wake her up from her second nap to give her enough time to be awake before bedtime. Or if needed, see if your toddler is ready to drop that second nap and take one long midday nap. Keep in mind that most toddlers don’t drop to one nap until they’re 14-18 months old, though. Get more tips on how to wake up your toddler from a nap. 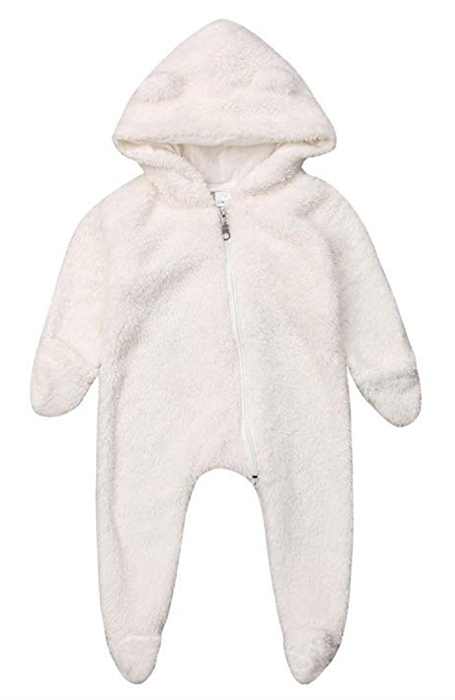 I wish I had known the magic of my son’s bear suit pajamas months earlier. I figured the zip-up suit would be too warm to sleep in, especially when I was already layering him up for the night. But one night, he had run out of regular pajamas, so I just dressed him in a t-shirt and shorts and covered him with the bear suit. And then… he started sleeping so much better. First, he actually slept through the night when, for the last several days, he’d been up throughout the night. Then, he’d even sleep in, first to his regular wake-up time (because prior to the suit, he was waking up even earlier). One morning he even slept in past wake-up time for almost a whole hour. It was then that I remembered how important kids’ sleeping environment is, down to the temperature of the room and the pajamas they wear. Maybe your toddler’s crib has uncomfortable bedding, or there isn’t enough white noise to muffle the sounds that startle her awake. Or maybe a simple pajama switch is all you need to get her to sleep well once again. What to do: Experiment with your child’s sleeping environment. Could it be too cold or warm at night? Is she dressed appropriately, or could she use extra (or fewer) layers? Is the room too bright or too quiet? Dealing with the 1 year old sleep regression can be rough, especially when your once great sleeper is up for hours at night. But now you know the most common reasons this happens, as well as what to do about them. For instance, your 1 year old might be hitting new milestones that make for a fitful sleep at night. She may have grown used to unsustainable habits that prevent her from soothing herself back to sleep. She might be struggling with new changes at home, or sleeping too close to bedtime to be tired by then. Perhaps she’d rather explore and play during the day instead of eat, leaving her hungry at night. And finally, her sleep environment could simply use an improvement to help her sleep well. This 1 year old sleep regression will definitely pass—and perhaps now, even quicker than simply waiting for it to. Did you like this article about the 1 year old sleep regression? Share it on Pinterest and Facebook!